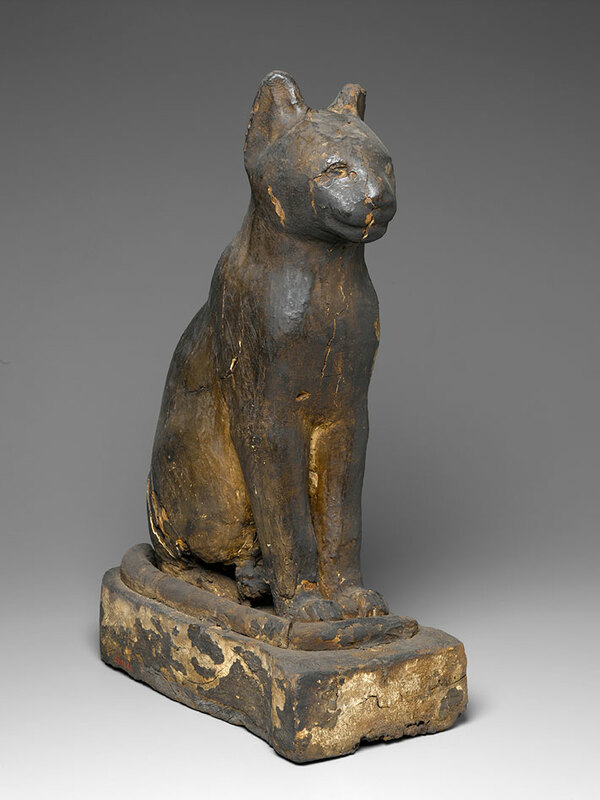 Ancient Egyptians didn't prepare only human bodies for the afterlife; cats, baboons, crocodiles, canines, and birds have all been found mummified. But there's something particularly delightful about this long and skinny coffin for snake. This coffin is part of the Brooklyn Museum's collection and it's dated 664-30 BCE, sometime during the Late Period to the Ptolemaic Period. And this snake is hardly the only creature that got an animal-shaped coffin. Coffins in the shapes of ibises, baboons, cats, and other myriad animals have been found in Egypt. 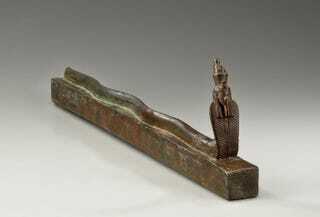 Oblong bronze receptacle, probably for mummified reptile, surmounted by long uraeus serpent with human head. Uraeus and double crown on head, incised details. No inscription but snake is undoubtedly a representation of Atum. Condition: Good. The object has obviously been cleaned fairly recently and this has been well done. Apparently it has been assembled from two pieces for there is a repair at about the center, ancient (?). The end of the base is missing. Good work. Brooklyn Museum photograph (Gavin Ashworth, photographer), 2012.